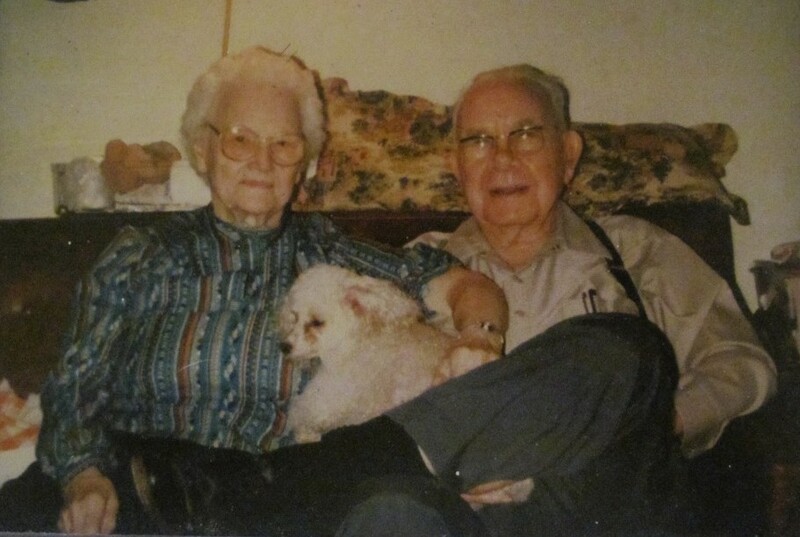 My grandparents with their beloved poodle Mimi. “Where're we going?” Grandmama, buckled in tight, sat in the passenger’s seat of her ancient sedan. “How long’s it going to take us?” Grandmama stared out her window; her bright eyes seeming to take in the scenery. Mother knew better. Dementia clouded all of Grandmama’s experiences these days. “Oh.” Grandmama nodded and slipped back into the mystery of her musings. It was hard for Mother. Time was when she and her mother could talk without pause about anything. Once a vibrant, feisty, confident woman, Grandmama had been slowly slipping away for years. This meek soul who now inhabited her body often seemed like a stranger to her beloved daughter, my mother. In a moment, though, Grandmama perked up again. “Where’re we going?” she asked, looking over at the one person she always remembered. “Hmm. How long you think it’s going to take us?” Grandmama asked, clueless. “Oh.” Grandmama nodded and turned back towards the passenger window. “Where’re we going?” Grandmama, smiling innocently, looked at Mother, waiting for her to answer.